Marketing and sales management agency specializing in the diverse and high energy Outdoor Industry. A full service marketing agency providing advertising, sales management, public relations, trade shows and more for their clients. 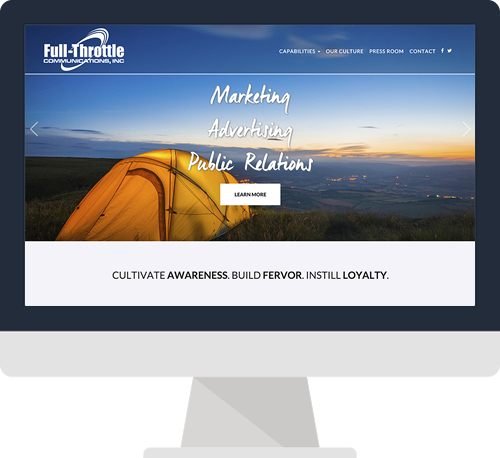 The great outdoors, that was the inspiration that drove the design for the new Full-Throttle website. Utilizing vivid photography on a full screen layout, our goal was to showcase their clientele’s passions and target markets. 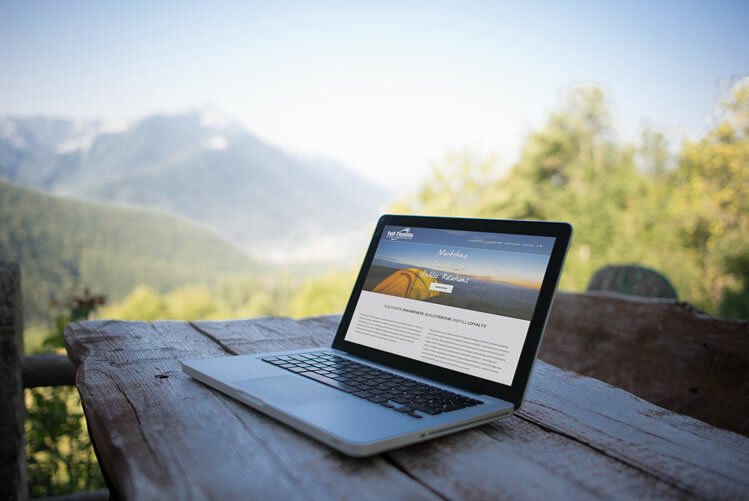 The home page boasts a large image slider, a 50/50 design that highlights their capabilities while adding structure and order as well as a rotating client carousel. A transitioning sticky header allows for easy site navigation wherever you are. Out with the old flash videos and constrained content and in with a new modern and mobile-friendly responsive design. 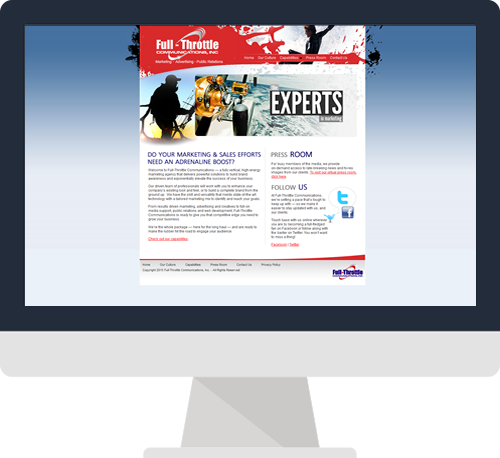 Full screen imagery welcomes visitors to the exciting world of outdoor industry marketing where anything is possible and the sky’s the limit.